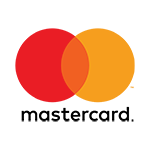 Mastercard (NYSE: MA), is a technology company in the global payments industry. We operate the worldâ€™s fastest payments processing network, connecting consumers, financial institutions, merchants, governments and businesses in more than 210 countries and territories. Mastercard products and solutions make everyday commerce activities â€“ such as shopping, traveling, running a business and managing finances â€“ easier, more secure and more efficient for everyone.